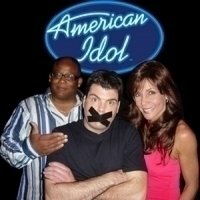 Invite the Best American Idol Judges Impersonators to your next event. Have the original and most recognized American Idol Celebrity lookalike, look alike impersonator at your next special event. They are the most requested American Idol celebrity lookalike, look alike impersonator in the nation. Can also be American Idol Judge as Paula Abdul, Randy Jackson and Simon Cowell celebrity lookalike, look alike impersonators. Have Randy, Paula and Simon be the judges at your next event. They are always a huge hit with their judging adding a little comedy and making sure everyone is having a great time at your event. Invite the American Idol Judges to your next Special Event.